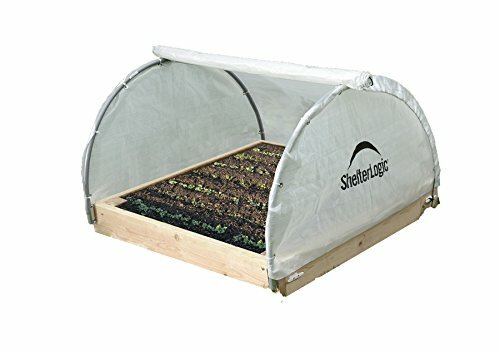 Grow and protect plants with our 4 x 4 ft. Raised Bed Backyard Greenhouse. The compact size and sturdy build makes it perfect for starting seeds and extending the growing season. This easy-to-assemble, compact Greenhouse is constructed with high quality steel and features specially designed brackets that eliminate measuring and allow mounting to any type of raised bed frame. Its Roll-up cover provides airflow and temperature control while tension ropes hold the cover in any position from fully closed to fully open to allow desired flow. Wood Frame Not Included.